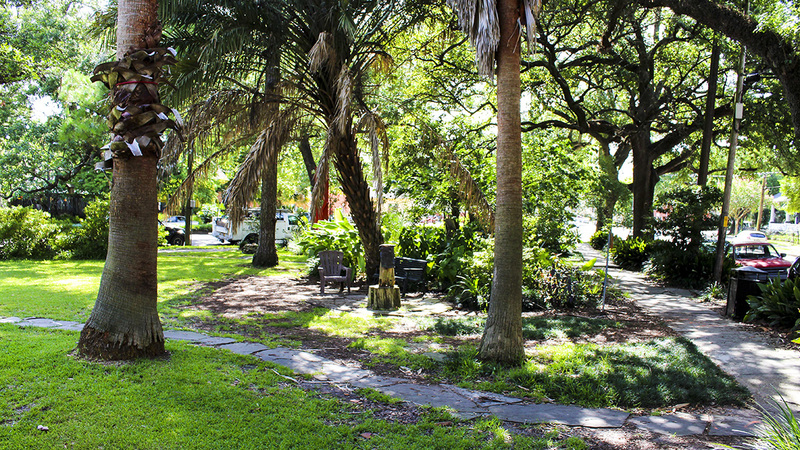 Dedicated as a public park in 1926, this 0.39-acre triangular parcel is bordered by Esplanade Avenue, Grand Route St. John Street, and Mystery Street. 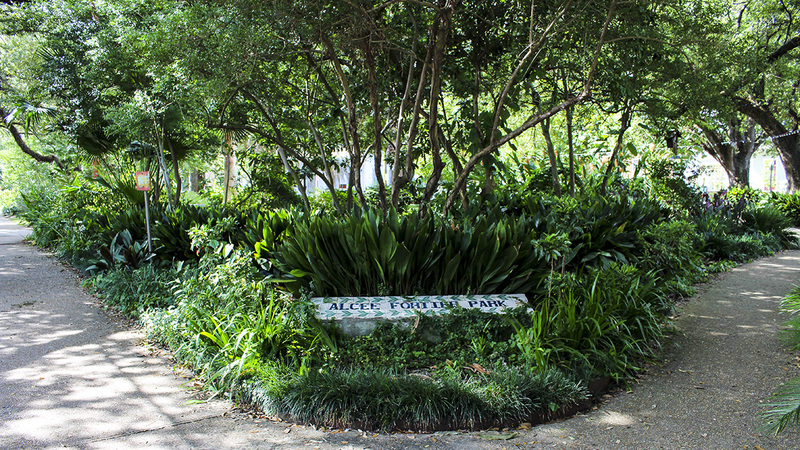 It is named after Creole philanthropist and scholar of romance languages Alcée Fortier, who owned property in the Esplanade Ridge neighborhood where the park is located. 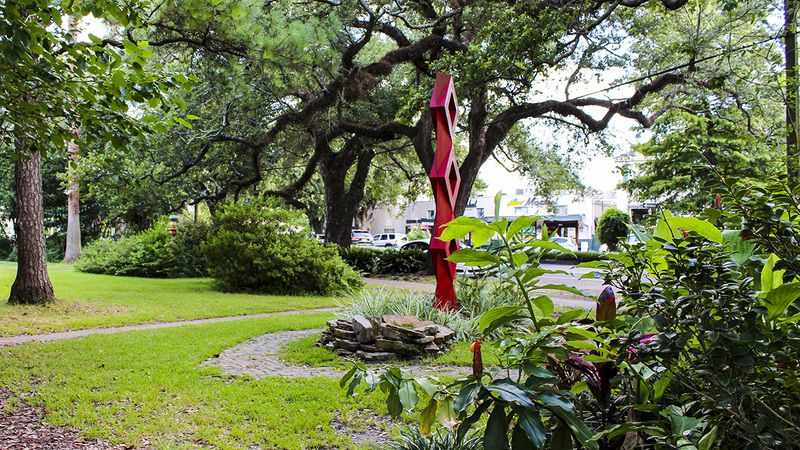 The park was created when Esplanade Avenue cut through the existing rectangular parcel fronting Bayou St. John. The land was originally home to Alcée Fortier Elementary School until the 1920s, when the school was demolished and the current park was established in its place. 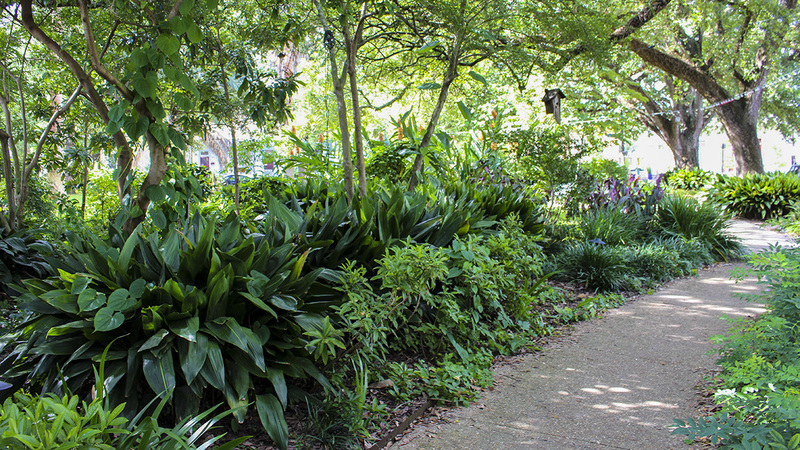 Twelve live oaks line the park’s periphery, with dwarf palmettos and an understory of cast-iron-plants, holly ferns, elephant ears, and ornamental grasses forming a lush, layered border. 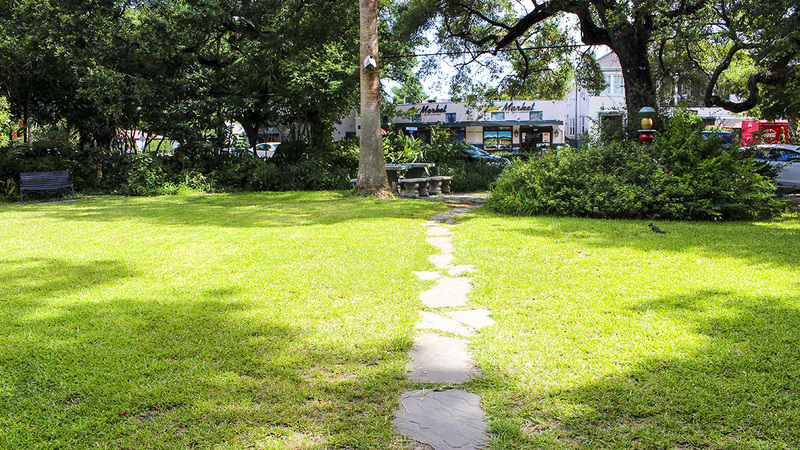 Linear paved walkways extend across the park and are intersected by winding flagstone paths. 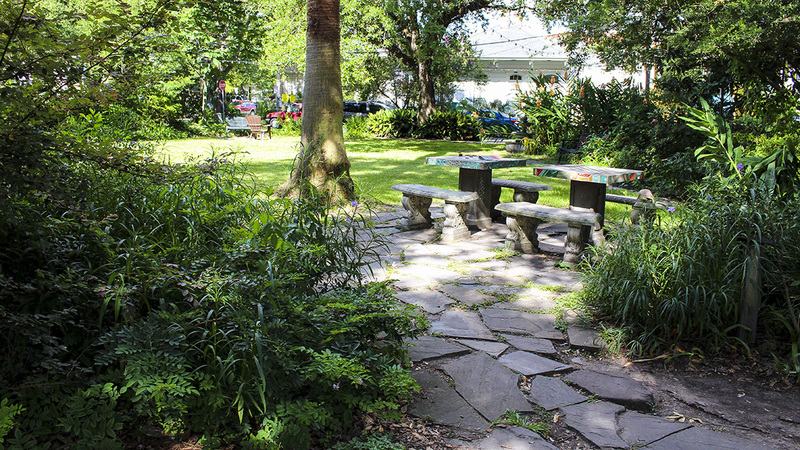 Benches, moveable chairs, and stone chess tables are located throughout, while palm trees punctuate the interior of the park, contrasting with the trees that line its edges. 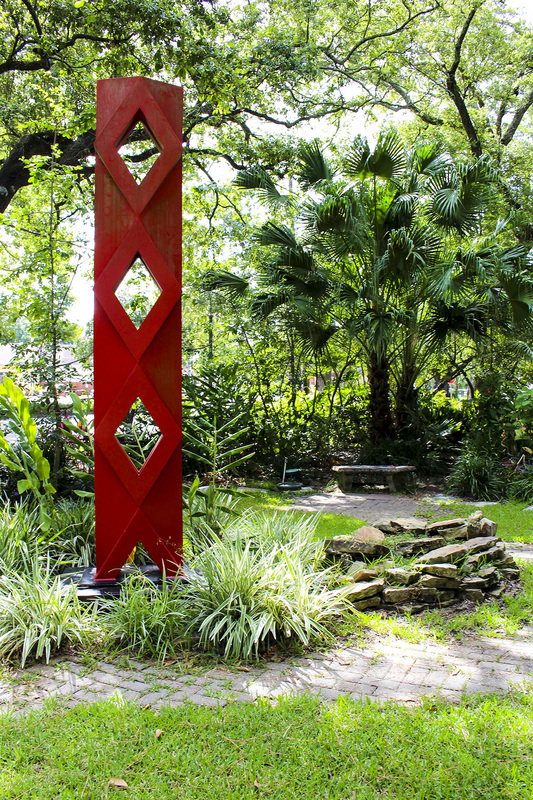 The varying tree canopy provides a combination of shade and enclosure, while colorful sculptures and hand-painted mosaic park signs that are set in the ground convey the friendly, informal atmosphere for which the park is known. 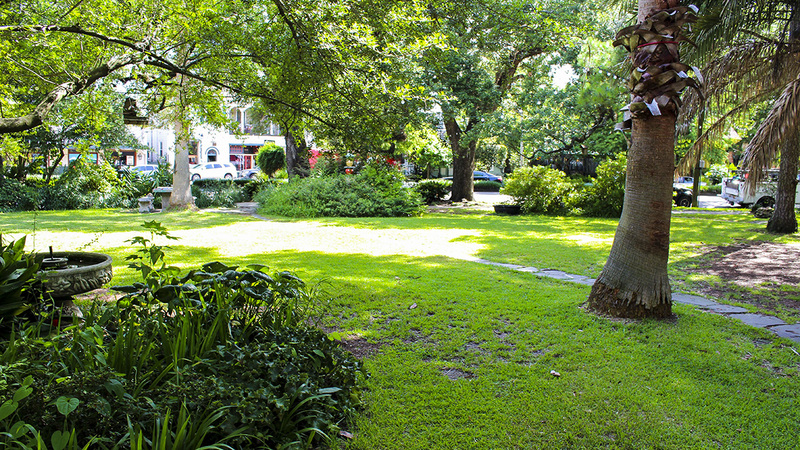 The City of New Orleans renovated the park in 1999, and it is currently maintained by neighborhood associations.